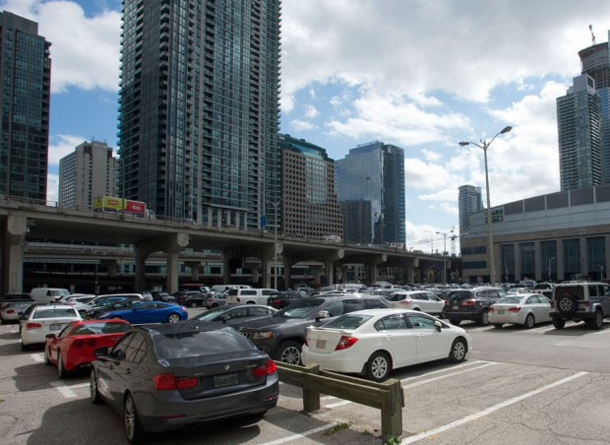 Many people who live in downtown Toronto don’t own a car, so a parking spot is not something a buyer may add automatically – especially when the average cost of a parking spot adds $50,000 to the purchase price in addition to affecting property taxes and maintenance fees. In an era when a condo tower can go up without any parking spots at all (Residences of the RCMI on University), the Financial Post recently published an article arguing that parking spots are a good investment, based on the fact that the value of parking spots has risen more quickly than the average value of a condo. While it’s possible to rent out an empty parking spot and cover any extra expense associated with it (the founder of the site Whereipark estimates that the average spot rents for $125/month), many condo corporations have restrictions – you can only rent to people who live in the complex. It’s an interesting argument, but if you don’t already have a car when you’re buying a condo in downtown Toronto, adding it to the purchase so it helps your resale chances isn’t necessarily the best decision. With fewer people driving, you could find it’s a liability down the line.